From a best appearing contest to drivers discussing plans, social media is a buzz about the Mini Stock division. That showed in the first edition of the Silly Season Portal at Short Track Musings with plans revealed for nine different drivers. Since then, the news has just joined continued to drop with drivers revealing their plans for 2019. So here are some more competitors who have openly discussed their 2019 plans as of January 19, 2019. Longtime crew member Chris LeBarron is ready for his chance behind the wheel, ready for a full-time campaign at Sunset Speedway. 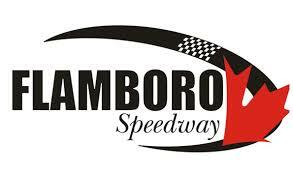 He also has plans to travel the province to run events at Flamboro Speedway, Sauble Speedway, Jukasa Motor Speedway, Peterborough Speedway, and Full Throttle Motor Speedway. Long-time Barrie Speedway attenders will be happy to hear that Chance Isherwood is coming out of retirement in a unique way. As revealed to STM, he will be piloting the same car that he drove to a championship at Kawartha Speedway, which is now owned by Dave Middel. The team plans to run a retro paint scheme identical to 10 years ago as they hit up tracks across the province including Full Throttle Motor Speedway, Sunset Speedway, Sauble Speedway, and Jukasa Motor Speedway . After a stellar season that saw him pick up two Bone Stock Championships, Kyle Neumeister revealed to STM back in September that he is planning to dip his feet into the Mini Stock division for 2019. Regulars at Sunset Speedway will be happy to hear that DY Racing posted on their Facebook page that Lisa DeLeeuw and Eric Yorke will be returning behind the wheel this season. Nothing about Peterborough Speedway Bone Stock, Mini Stock and Renegade Truck Champion Ryan Oosterholt? When it comes to the Silly Season Synopsis, they’re simply written with information messaged to me from drivers, as well as press releases that drivers and teams have dropped thus far in the off-season. I can certainly reach out to Ryan and see if he’d be willing to divulge on the details so that we can share them in a future issue.